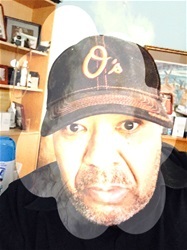 It just seems to be getting murkier and murkier in this Mayor Pugh Healthy Holly mess in Baltimore City. The Mayor said that it cost $4.00 per book to print and publish each book. However, the company in Canada charged her $1.53 per book to print 80,000 books. This came to a printing cost of approximately $123,077.00. The big question is how much did The Mayor truly make on this project? She was paid $500,000.00, she indicated last week that she returned $100,000.00 because of only 4 titles actually being printed. So excluding that $100,000.00 there is $400,000.00 outstanding excluding the cost of printing and shipping the 80,000 Healthy Holly books at $123,077.00, there is a sum total of $276,923.00 in excess. The Mayor indicated that she made $80,000.00 in profits from the sale of the books from the University of Maryland Medical Center Board of Directors. That means that her ancillary costs outside of printing and shipping the books exceeded $196,923.00. So this evening's news conference didn't answer any questions. It actually made an already dubious situation of duplicity far worse. Are you telling us, Mayor, that you paid the illustrator and co-author almost $200,000.00 while you only made $80,000.00? You talking about baby bibs and baby blankets didn't make this dishonest venture more honest. As a matter of fact, as it sometimes does when "shady" enters the room honesty is locked out. I hope you are getting over your illness because the questions will indeed continue coming because the magic math you presented this evening simply doesn't add up. 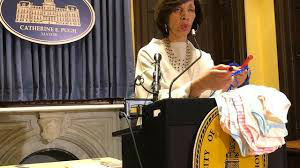 Get ready for this situation to last for a little longer because the reporters' claws are sharpened and your political enemies are at the gates of City Hall, Mayor Pugh.